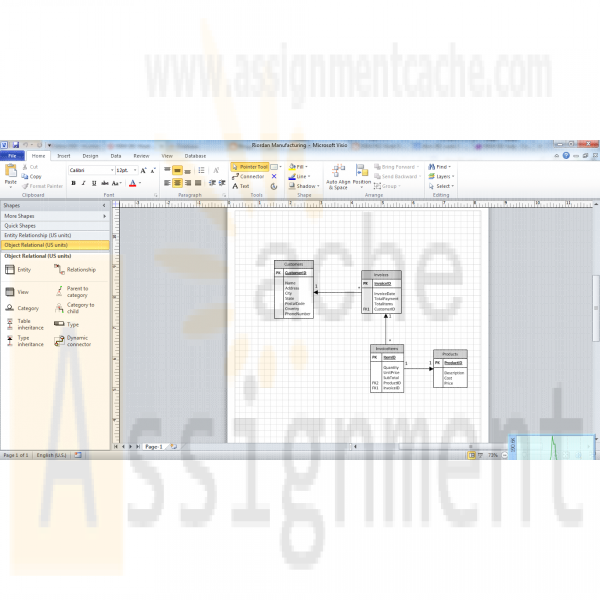 Create a Microsoft Access database using Riordan Manufacturing’s 2005 sales figures. Normalize the tables to the third normal form. Create relationships among tables using the relationship tool. These relationships must include settings for referential integrity and cardinality. Microsoft Word, PowerPoint, or Visio. Include primary keys, foreign keys, fields, relationships, and cardinality in the ERD. 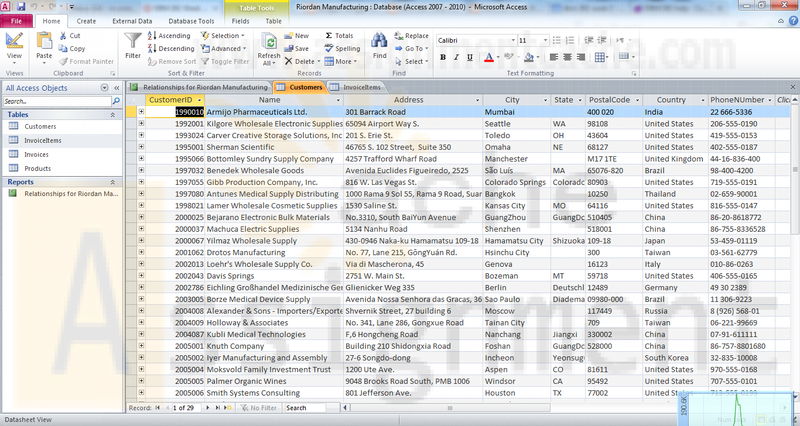 Create a Microsoft Access database using Riordan Manufacturing’s 2005 sales figures. Normalize the tables to the third normal form. Create relationships among tables using the relationship tool. These relationships must include settings for referential integrity and cardinality. Create an extended ERD of your newly created database, using Microsoft Word, PowerPoint, or Visio. Include primary keys, foreign keys, fields, relationships, and cardinality in the ERD.